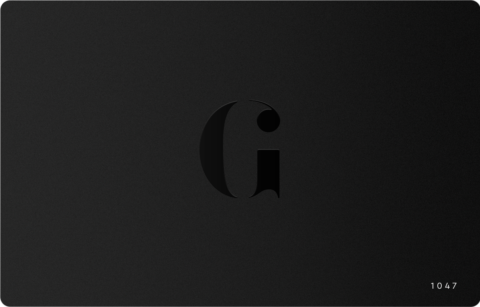 Harry Hunt: the man behind the mutant Mini | The Gentleman's Journal | The latest in style and grooming, food and drink, business, lifestyle, culture, sports, restaurants, nightlife, travel and power. 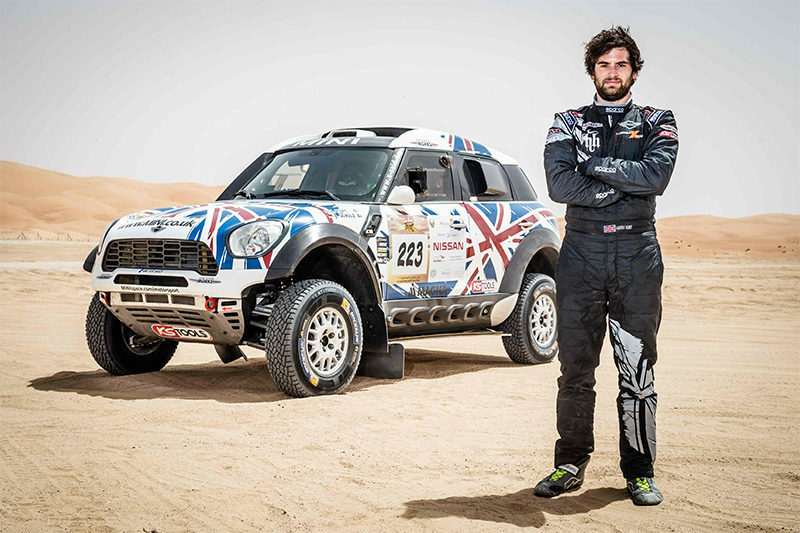 He’s a young-looking 27 year old gent with a mischievous giggle, an impressive personal car collection and, oh yes, he’s one of the youngest drivers to have completed the gruelling Dakar Rally where he raced for Mini. Harry Hunt is well on his way to becoming the number one British name in rallying, so we caught up with him about life at 130mph at the height of Everest base camp. Hunt came unusually late to motorsport, first competing at the age of 19. 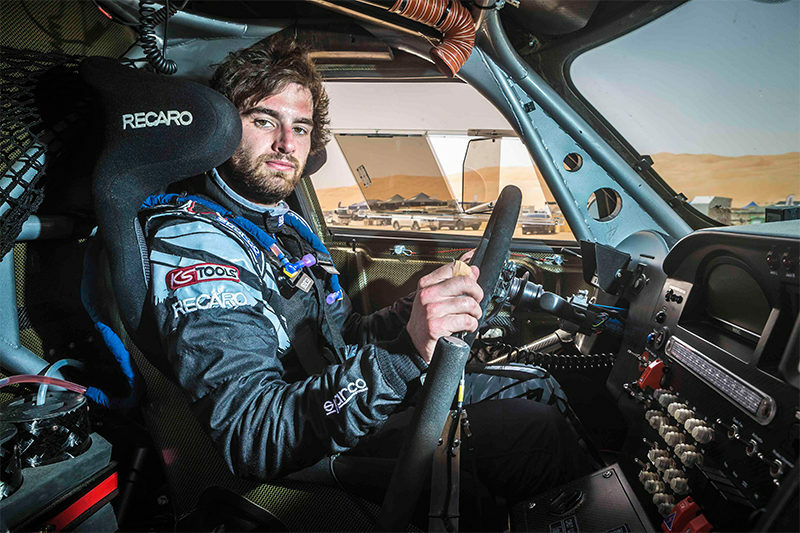 From here, he quickly went on to establish himself in stage rallying behind the wheel of a two-wheel drive Ford Fiesta, climbing to the top of the Intercontinental Rally Championships by 2010. ‘You start much later in rallying because you need a driving license,’ he says with a giggle. It sounds obvious but, despite the speeds of over 200mph, Formula 1 drivers are not required to hold a valid UK driving license, unlike their rallying counterparts. After scooping a second victory in 2012 in the same category, the World Rally Championships seemed like a natural progression. But Hunt had other ideas. ‘I fancied Dakar, I’ve always loved it,’ he says. 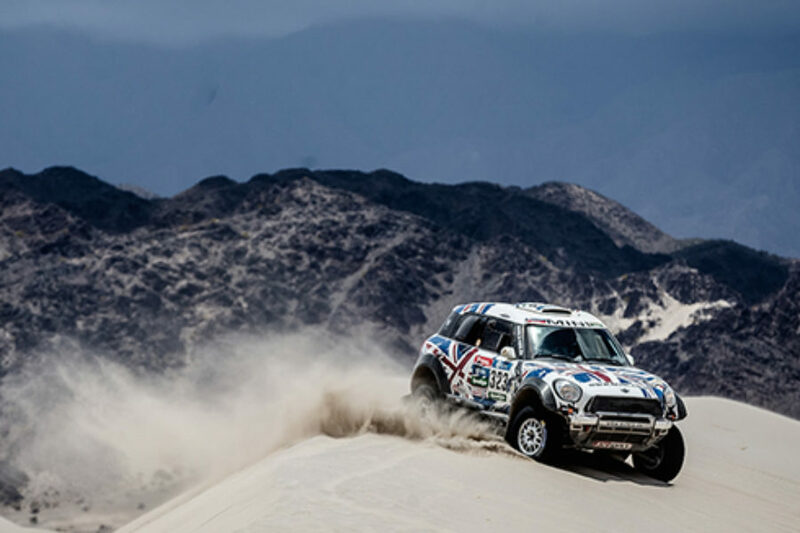 Being named Mini’s brand ambassador in 2015, he was selected by the manufacturer to take on the Dakar, despite being one of the youngest drivers in the field. 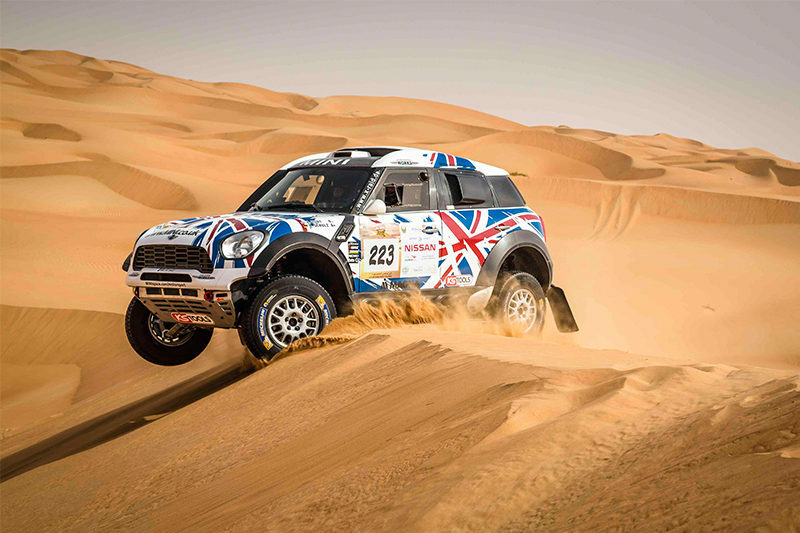 ‘I drive a 3-litre, twin-turbodiesel Mini Countryman All4 Racing with red, white and blue colouring – it’s got some serious grunt,’ he says with a beaming grin. 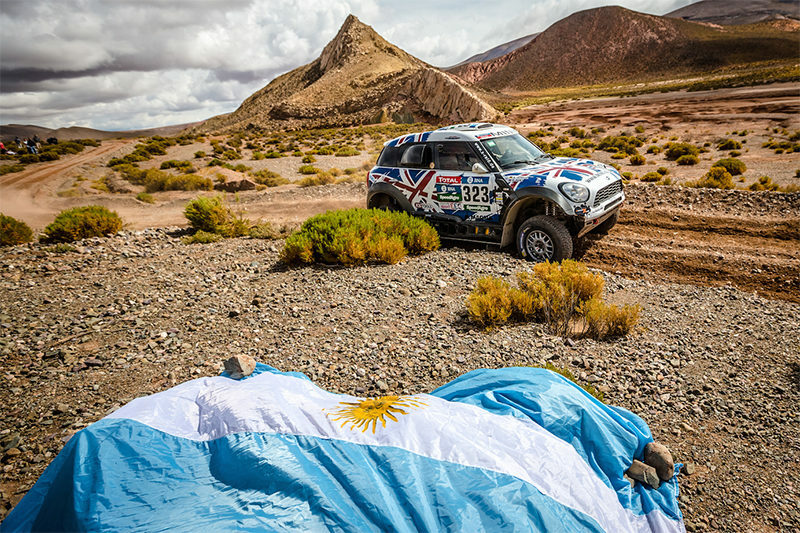 Followers and fans of the Dakar rally – this year held across Argentina and Bolivia – would have seen images of Hunt hurling over mud, rocks, gravel and sand in 47-degree heat, and at heights not far off Everest base camp. 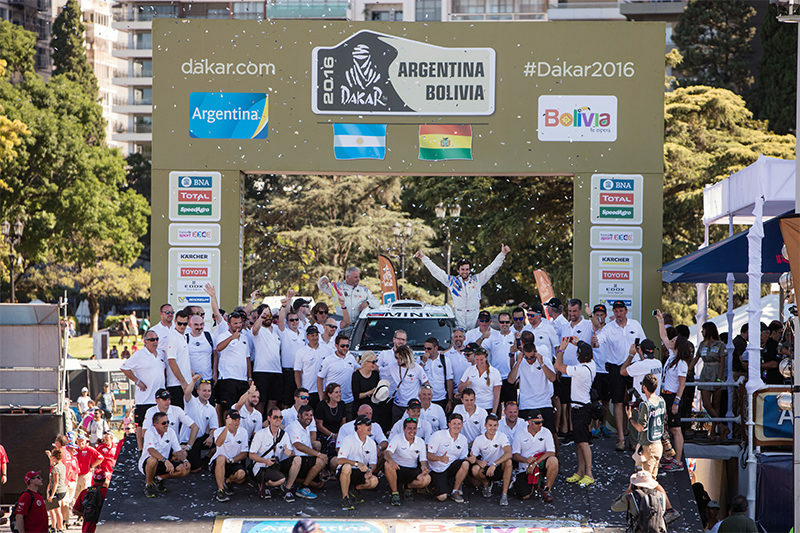 Finishing the Dakar in one piece is challenging enough, but to place in the top 10 on your first outing is almost unheard of. He’s the latest British driver to take up the challenge in a factory-backed car since the great Colin McRae entered in 2005. But reaching the finish line was no easy task. 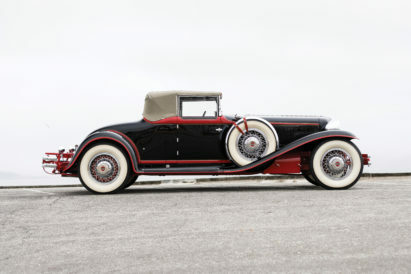 Suffering several punctures, which Hunt and his co-driver fixed themselves, and a power steering failure on the penultimate day, they still managed to finish behind rally legend Sebastian Loeb, the most successful driver in World Rally Championship history. Now, I know what you’ve been thinking. Hunt sounds familiar in motorsport circles, right? Well, you’d be wrong. Despite sharing the same surname as racing icon James Hunt, Harry’s no relation. ‘Not as far as I’m aware of,’ he says with a smile. But what he does share with his namesake is charisma. Hunt is a rare snapshot of a naturally talented driver who’s not afraid to have a little fun along the way. Most of all he’s in it for the enjoyment and the thrill – something that appears to be lacking in motorsport all so often.